Austin, TX, – Join us Saturday, May 13th at The Sidewinder for the return of the Austin Nerd Cave Showcase. 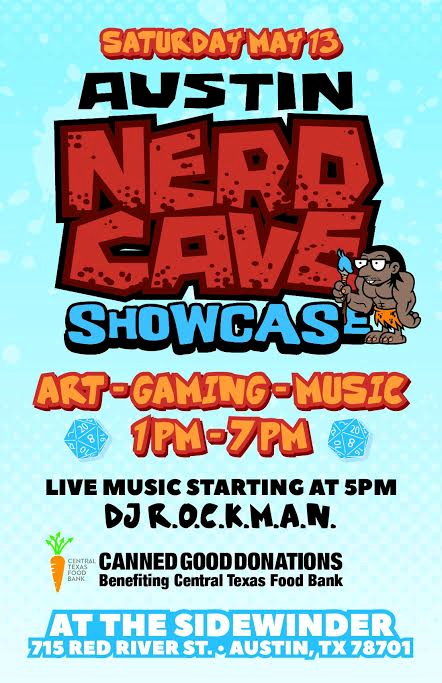 The event runs from 1pm – 7pm, and features artists working in a variety of media showing their geeky collections, a nerdcore music show, live painting and sketching, cosplay, and a donation drive to benefit the Central Texas Food Bank. DJ R.O.C.K.M.A.N. (Vincent Banks) will be spinning beats on the indoor stage to accompany our art show again this year while providing some nerdy tunes on stage throughout the day for the event. The Austin Nerd Cave Showcase began as a tiny comic book art show coordinated by Jennifer Cunningham and Matthew McCoy, getting its start at Tribe Comics and Games in south Austin in 2011. Soon thereafter, Bad Barry Comp climbed aboard the nerd train, helped rebrand the event, and after a couple of years the show outgrew the shop and moved on to Spider House Ballroom in 2015. This is our first year holding Nerd Cave at the Sidewinder, in downtown Austin’s Red River entertainment district. 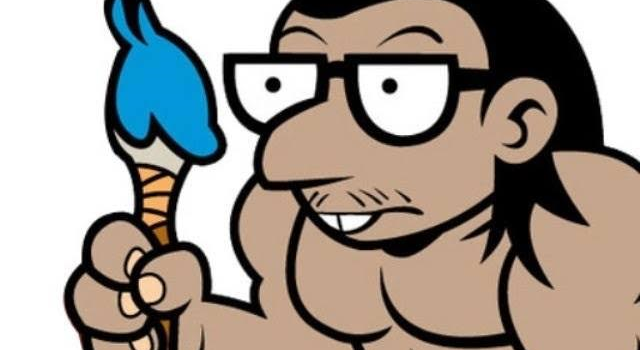 The group seeks to show off the pop-culture-inspired artworks of independent central Texas artists, many of whom work at comic conventions throughout the year or volunteer their time organizing other creative events in their respective communities. We aim to have fun, geek out, make rad things, and support one another while throwing one heck of a party. For more information, or to see photos of our artists’ work, visit facebook.com/NerdCaveATX or use hashtags #NerdCave2017 #NerdCaveATX #ANCS17. Also, check out our Facebook invite and let your friends know to join in the fun!